There’s a new variety of interspecific rootstock for Vvibes tomatoes. It is not very vigorous and therefore it represents the perfect balance between vegetative and generative activities. Its commercial name is Selvaggio F1 and feedback is already quite positive. 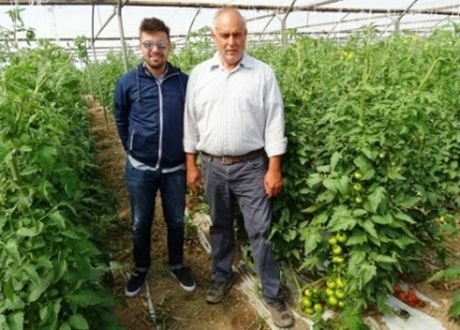 Israeli genetic research, combined with the knowledge of the south-eastern Sicilian territory and of Vvibes’ reference market, has been essential for the innovation of the seed sector. . The rootstock has already been implemented in the Agrigento, Ragusa and Siracusa areas. One of the companies is Az. Agricola Giovanni Barca. “Selvaggio F1 has unique characteristics. It is highly compatible with all tomato varieties. 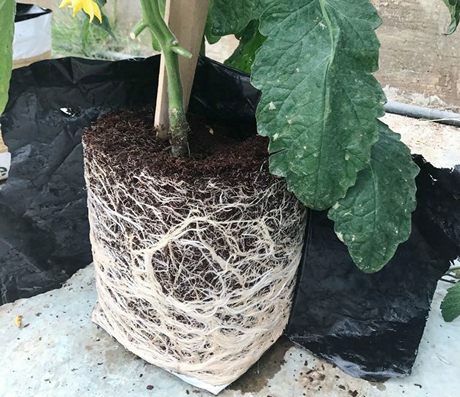 Plants are never hyper-vigorous and therefore the characteristics of the upper tissue remain unvaried,” explains agronomist Raffaele Micciché. Mr. Barca himself wanted express his satisfaction with the rootstock during a video-interview with the company’s technician. Another of the companies which chose to employ Selvaggio F1 is Contrade, owned by the Tardera brothers. The performance in Calabria at the Falcone company is just as formidable. 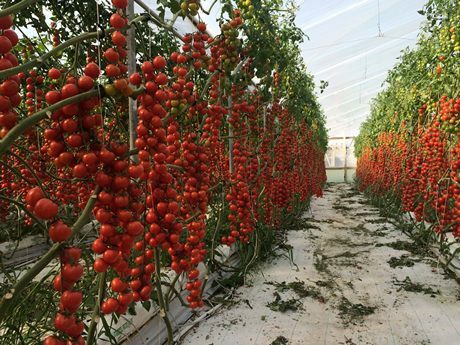 15 hectares of Anin bunch tomatoes were chosen and, despite the different soil and climate, performances were just as excellent. Left to right: Daniele Reina, Vvibes representative, with Giuseppe Falcone, producer from Marina di San Lorenzo (Rc).